While the dirt-filled holes, orange cones and tape certainly aren’t an attractive sight, the work currently underway at campus intersections on Newman Road will result in a more positive experience for MSSU students. The improvements to the intersection areas include ramps at International and Duquesne in order to make them compliant with the Americans with Disabilities Act, according to Sean Matlock, a project manager with the Missouri Department of Transportation. “We’ll also be installing new pedestrian signs and pushbuttons,” he said. 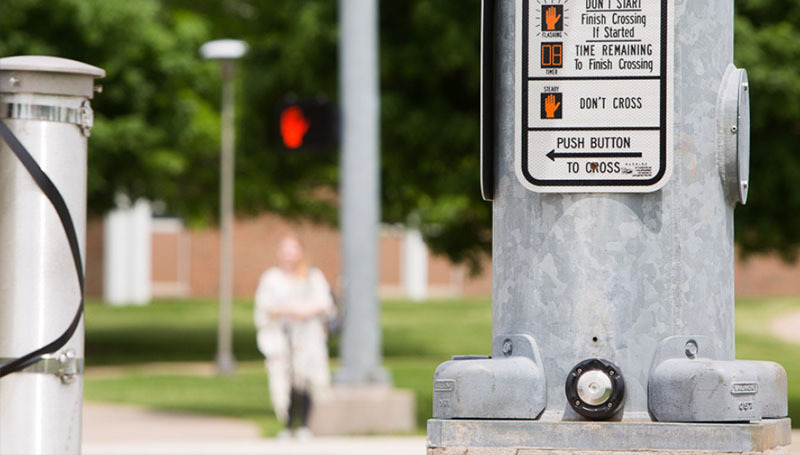 Darren Fullerton, vice president for student affairs, said the university is happy that efforts are being made to make the crossing more accessible for students. Eventually, he said he hopes to see sidewalks on Newman Road that will make the campus even more pedestrian friendly. “We hope MODoT, Joplin and Duquesne will help with the larger project of improving pedestrian access,” he said.